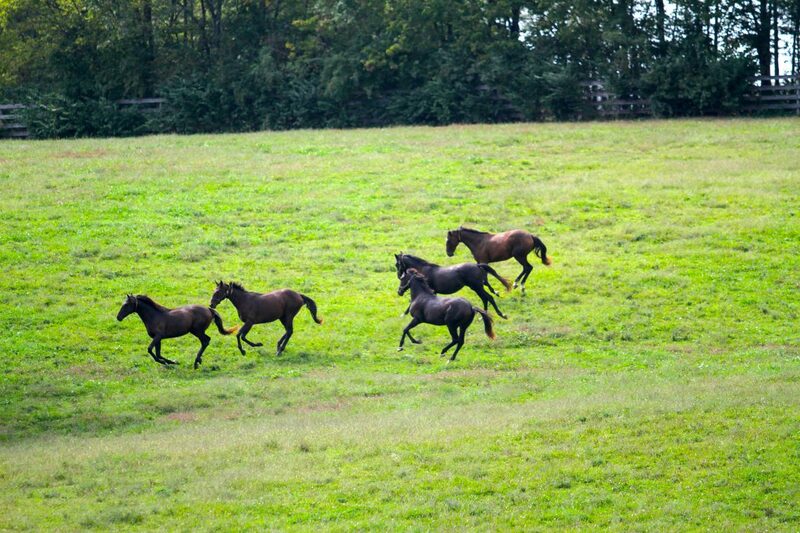 Seeing weanlings, yearlings, and 2-year-olds grow and develop on our farm is very special to us. At Clover Hill Farm, we are happy to offer boarding on our spacious Kentucky bluegrass pastures to a few lucky young ones! Supported by a team of professionals, proper oversight and care are guaranteed, giving you peace of mind that your foal is well cared for. As of September 24, 2018, we are accepting new horses into this program. Please contact one of our friendly staff members at Clover Hill Farm to discuss our current rates! Growing horses living in a healthy, independent environment. Young foals can roam our spacious pastures with plenty of room for healthy development. Mineral-rich limestone soil and a balanced wet/dry climate provides excellent grass almost year-round. We feed locally grown hay. We feed locally made grain. Our freshly mixed feed is designed with the help of local equine research professionals and is delivered to us weekly. Wooden four-plank fencing and automatic water troughs are always maintained. Our experienced staff is there to oversee and handle the yearlings. Our location within “The Horse Capital of The World” provides for excellent and timely access to veterinary care and other specialists such as farriers, dentists, specialty therapists, and more. We strive to keep our communication with our clients as responsive as possible. Once your horse is ready to be saddle broken, we can help! Please visit our Breaking/Starting page for more info. 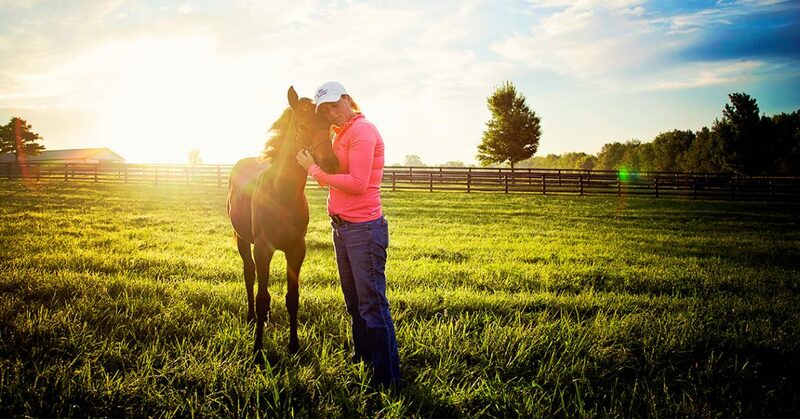 At Clover Hill Farm, we are more than happy to provide a safe and healthy environment for your young foal to grow and explore. If you are interested in boarding your young horse with us, give us a call today! Once your horse is ready to be started under saddle we can help! Please visit our Breaking/Starting page for more info.